People think that craft hoarding is a disease. And it is a sickness. One that has been seriously diagnosed for years. I'm here to set the record straight. There is absolutely nothing wrong with me wanting to purchase every craft supply known to mankind and keep it until someday "soon" when I will use it. The problem is that I don't have the space to adequately store these supplies so that when I DO find a free minute I can't find what I bought and need to buy it all over again. 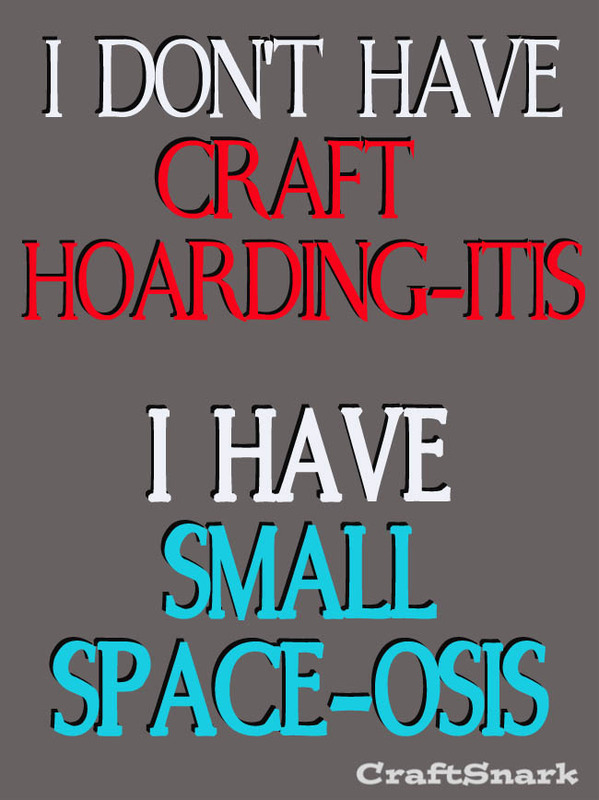 It isn't Craft Hoarding-itis ... it is Small Space-osis. It's not hoarding or a disease if you get paid for it. It's called a JOB! !